I'm excited to finally get to share with y'all that I am one of the newest Prima Ambassadors! 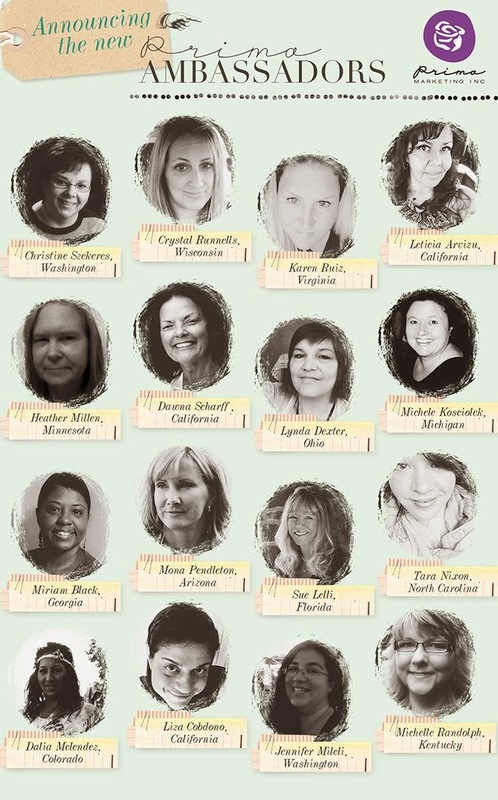 It's a thrill to be a part of this group of creative ladies who will be doing demos for Prima in Hobby Lobby stores as well as a some local stores! I'm anxiously awaiting my intro box of goodies so I can set out and offer FREE make & take projects in stores close to home here in North Carolina! As soon as I have my demos scheduled, I'll share the info here on the blog! Great news Tara" Congratulations ! Looking forward to hearing about your exciting journey!